Are There More Moves Coming In Minnesota? On Wednesday, the Minnesota Wild did what many thought wasn’t possible when they locked up high-scoring forward Jason Zucker on a long-term deal without putting themselves in an impossible situation with the salary cap. The team somehow managed to re-sign two young stars, both Zucker and Mathew Dumba, to a combined $11.5MM cap hit as well as add free agents Greg Pateryn, Eric Fehr, Matt Hendricks, J.T. Brown, Matt Bartkowksi, and Andrew Hammond all while maintaining some semblance of cap space. The team is projected to enter the season with $1.77MM in cap space and a roster that added talent while only losing the likes of Daniel Winnik and Matt Cullen. The question now is: is it enough? While it never hurts to return the majority of a roster from a playoff team, there is some question as to whether the Wild are keeping up in the Western Conference arms race. The team has been eliminated in the first round of the playoffs in each of the past three seasons and has still won just four playoff series in its 18-year history. Fans are clamoring for more than just regular season success and Minnesota – and new GM Paul Fenton – have instead opted to return the same team so far in an off-season where major changes were expected. Although the new contracts for Zucker and Dumba were more than fair and the team addressed needs for more physicality on the blue line with Pateryn and another option in net with Hammond, as well as adding veteran depth pieces, there will be some who are critical of an otherwise quiet summer. With so little cap space, the Wild may find it difficult to make many additions in-season as well. As the projected 23-man roster currently stands, Minnesota does not seem to be facing many holes and will get an injection of youth in the form of full seasons for Jordan Greenway and Nick Seeler. However, after getting a glimpse of other prospects like Luke Kunin, Louis Belpedio, and Carson Soucy last season, the team will undoubtedly want to avoid leaving them in the AHL all year. The trio all carry $925K cap hits that exceed the salaries of those on the roster they are most likely to supplant and the result will be even more cap space eaten up. Without moving out some salary, Minnesota will be left hoping their young talent can make a major impact as they will otherwise struggle to add veteran difference-makers over the course of the year. While observers will always point to the massive contracts of Ryan Suter and Zach Parise as the contracts that Minnesota could most benefit from moving (although Suter is still one of the most reliable defensemen in the league), the team has also entertained offers for Jonas Brodin and Nino Niederreiter in the past and could do so again. 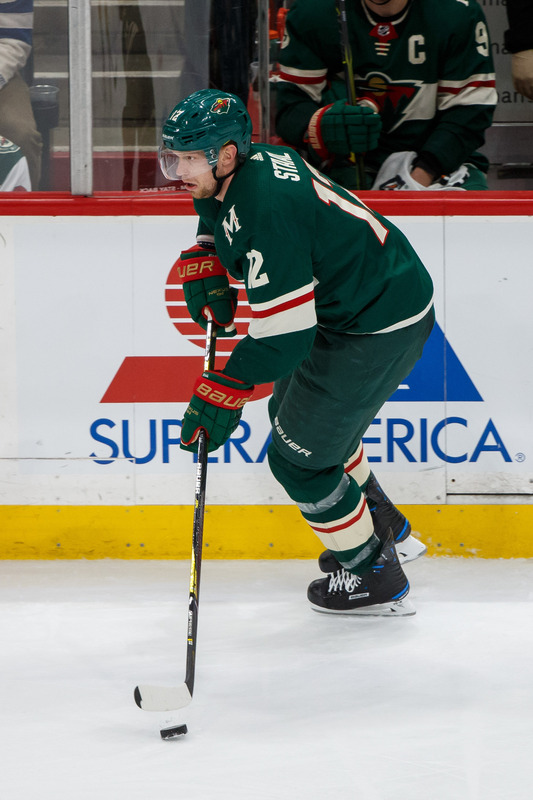 While Eric Staal has been a revelation for the team, they could also look to move the pending free agent if they get off to a slow start and can land a younger asset in exchange. At the end of the season, it could be that this same Wild lineup plus some free agent additions and young players is enough to reverse their postseason fortunes. However, if they fall short again or, even worse, miss the playoffs, the team will finally have to make some major changes. It’s possible that the team gets ahead of that possibility by making some moves this off-season instead. Minnesota is asking teams that have shown interest in wingers Charlie Coyle, Jason Zucker, and Nino Niederreiter to take on the final year of center Tyler Ennis’ contract as well, reports Sportsnet’s Elliotte Friedman. Ennis struggled considerably in his first year with the Wild and as a result, he is a strong candidate to be bought out of the final year of his contract which carries a $4.6MM cap hit. The deadline for players to be bought out is next Saturday so they will have to move fairly quickly if they want to include Ennis in a deal. While some teams are willing to move their first-round selections, Minnesota is not one of those teams, reports Michael Russo of The Athletic (subscription required). The team has received interest in their 24th overall selection – including from the Canadiens in a proposal involving winger Max Pacioretty – but GM Paul Fenton said they are “absolutely” against dealing it. Also from Russo’s piece, the team is hesitant to move defenseman Jonas Brodin given the uncertainty surrounding Ryan Suter’s ankle injury. Brodin has been coveted around the league for a while as a stable top-four defender and with Mathew Dumba in line for a significant new deal this summer, some wondered if Brodin and his $4.17MM cap hit could be dealt to free up some cap room. Representatives from the team met with Dumba’s agent on Thursday, presumably to talk about his next contract. Sarah McLellan of the Minneapolis Star-Tribune suggests that it’s likely that the Wild are more active on the trade front this summer than in free agency. They may look to shake up the roster with some player-for-player deals and then use their cap room to shore up their depth and on the back end. While many teams would prefer to add an impact player that is signed beyond this season, that isn’t the case for the Jets. In an appearance on TSN 1290 (audio link), TSN’s Bob McKenzie reports that Winnipeg’s preference would be to add rental players, or at least someone that is signed short-term. The Jets have several youngsters that will be vying for full-time roster spots in the near future and they will not want to block their paths to the NHL. McKenzie also suggests that General Manager Kevin Cheveldayoff might be more open to dealing his first-round pick by the February 26th trade deadline than he has been at other times during his tenure as GM. 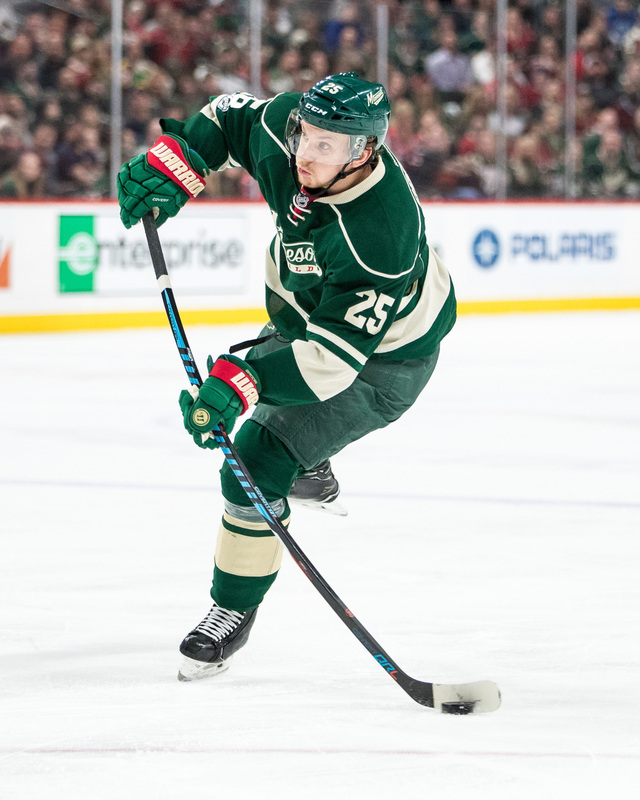 Wild blueliner Jonas Brodin has already resumed puck-handling drills just two weeks after undergoing surgery to repair a fractured hand less than two weeks ago, notes Sarah McLellan of the Minneapolis Star-Tribune. While the initial timeline for his return was three-to-four weeks, he could return slightly ahead of schedule. The news isn’t as good for winger Nino Niederreiter, however. He acknowledged that he won’t be fully healthy until next season after dealing with multiple leg issues this year including a fractured fibula that he just returned to the lineup from. Canucks GM Jim Benning would like to add a top-nine forward with size and grit to their roster, he acknowledged to Postmedia’s Ben Kuzma. Vancouver has several skilled prospects on the horizon and adding a player like that would complement them nicely. Benning also stated that they are not shopping defenseman Chris Tanev but that he will listen to offers if other teams call. The team views the 28-year-old as someone that will mentor their younger blueliners including 2016 first-rounder Olli Juolevi. The Golden Knights have placed center Pierre-Edouard Bellemare on injured reserve with an upper-body injury, notes Steve Carp of the Las Vegas Review-Journal. There is no timetable for how much time he will miss but the IR placement means he’ll miss the next week at a minimum. Vegas has recalled a pair of forwards from their AHL affiliate in Chicago to take his place on the roster in wingers Tomas Hyka and Stefan Matteau. 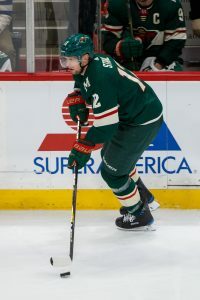 According to Chad Graff and Michael Russo of The Athletic (subscription required), Minnesota Wild defenseman Jonas Brodin will require surgery on a fractured left hand and will be out for three to four weeks. Brodin suffered the injury on Tuesday, and was scheduled to undergo surgery on Wednesday according to the two Athletic reporters. It’s a tough break for the Wild after climbing back into the playoff race over the last few weeks, now sitting in the second wild card spot in the Western Conference and just four points back (with two games in hand) of the St. Louis Blues for third in the division. Brodin had been playing well for the team, logging his usual 20+ minutes against tough competition. The Wild will now turn to less experienced options to help them through the next few weeks, and will no doubt be linked to available defensemen before the trade deadline. Minnesota isn’t in a great position to make any acquisitions though, at their 50-contract limit and with little cap space to play with. Still, Russo reports that Wild GM Chuck Fletcher is certainly looking at the market. While he may have been focused on an addition to his forward group before last night, a defenseman now wouldn’t be out of the question. Kyle Quincey, who was waived and sent to the minor leagues earlier this year, apparently has been skating on his own at home, and could be an option to open up a contract spot. Otherwise, someone else would have to go to make room for any acquisition. One team that has received a lot of attention the last few days is the Minnesota Wild, who were a hotbed of trade chatter coming up to the trade deadline, which just passed due to their possession of multiple defensemen who they would likely have to expose if they couldn’t make a deal. However, the Wild stood pat and did not make any last minute trades and as of now, the team had no side deals going with the Las Vegas Golden Knights, according to Michael Russo of the Star Tribune. Many teams had been looking to make big deals with Minnesota, who had too many defensemen on their roster and had to lighten their load. Going with a 7-3-1 protection scheme, the Wild were already expected to protect blueliners Ryan Suter and Jared Spurgeon and then would have to choose between Mathew Dumba, Jonas Brodin and Marco Scandella for the final protection spot. That would expose two of those three to the Las Vegas Golden Knights. According to Russo, the team had been working on several deals before the deadline, including a possible trade to acquire Jonathan Drouin from Tampa Bay or Alex Galchenyuk from Montreal. There were no details on how close Minnesota came to making a deal with the Canadiens, but Montreal wanted a package that included Scandella. The main issue, however, for general manager Chuck Fletcher was that if he traded away one of those three defensemen, he didn’t want to lose another to the Golden Knights in the expansion draft, therefore losing two defensemen. Standing pat ensures that one of those blueliners will be staying with the club. San Jose Sharks general manager Doug Wilson announced that pending unrestricted free agent winger Ryan Carpenter has been signed to a two-year contract today, according to the Sharks website on NHL.com. The 26-year-old Carpenter played in just 11 games this past season, scoring two goals and two assists. He did score 14 goals for the AHL’s San Jose Barracuda in 54 contests. The team also signed Joakim Ryan and Tim Heed, as well, each to two-year contracts, tweeted by NBC Sports’ Kevin Kurz. Ryan, a 24-year-old defenseman scored 10 goals and 39 assists in 65 games for the Barracudas. Heed, also a defenseman, is coming off an even better year, putting up 14 goals and 42 assists in 55 games for the Barracudas. Heed only played one game for the Sharks this year, while Ryan has not made his NHL debut yet. All three have a legitimate chance to crack the Sharks rotation out of training camp depending on the team’s offseason moves. One team to watch for in advance of today’s roster freeze is Minnesota who have more quality blueliners than protection slots available. Michael Russo of the Star-Tribune reports that several teams, including Dallas, Montreal, Tampa Bay, and Toronto have all shown interest in blueliner Jonas Brodin. The 23 year old has four years left at a cap hit of $4.17MM, a solid rate for a player who has averaged more than 22 minutes of playing time per game in his career. He’s also coming off a career year offensively with 25 points in 68 games. Brodin isn’t the only blueliner that the Canadiens have shown interest in as Russo notes that Marco Scandella’s name has come up in trade discussion as well as part of talks regarding forward Alex Galchenyuk. However, given their situation when it comes to protecting forwards in expansion, making a deal work where the Wild take a forward back that requires protection may be a bit too challenging in these final hours before the freeze. The Coyotes are showing “serious interest” in Rangers center Derek Stepan, TSN’s Bob McKenzie reports (Twitter link). The deadline to watch for here is more July 1st than today as the turn of the calendar marks the beginning of Stepan’s no-trade clause. The soon-to-be 27 year old had 55 points (17-38-55) in 81 games this past season and has four years left on his contract with a $6.5MM cap hit. The Kings held discussions with the Golden Knights about potentially taking on winger Marian Gaborik’s contract, TSN’s Pierre LeBrun notes (Twitter links). However, talks didn’t progress as the asking price to do so was too high for their liking. The 35 year old Gaborik has four years left on his deal with a $4.875MM cap charge but has seen a significant drop in his production in recent years. In 2016-17, he had just 10 goals and 11 assists for a career low 21 points in 56 games while also spending time as a healthy scratch. Nashville is continuing to try to reach a side agreement with Vegas on a deal for them to avoid a prominent unprotected player but talks are not progressing, TSN’s Darren Dreger reports via Twitter. It’s expected that the Predators will utilize the 8/1 strategy in order to protect their top four defensemen. However, that means that one of wingers Calle Jarnkrok or James Neal would be exposed and would certainly interest the Golden Knights. The Minnesota Wild find themselves the center of trade speculation, with Matt Dumba and Jonas Brodin headlining the rumors according to the Star Tribune’s Michael Russo. Wild general manager Chuck Fletcher has received “quality trade offers” revolving around Dumba and Brodin. It’s no secret that the Wild have difficult decisions to make before they make their final choices for the expansion list. According to Russo, it’s prudent to deal either Dumba or Brodin since Jared Spurgeon and Ryan Suter will take up two of the three slots for protected defenseman. Instead of losing one for nothing, Fletcher is listening in on trade offers, and one such team Russo sees as being targeted is Montreal. The player they’re most likely targeting? Alex Galchenyuk. TSN’s Ken Campbell writes that with the Canadiens acquiring Jonathan Drouin today, it likely means that Galchenyuk “won’t be back” in Montreal next season. Campbell adds that Galchenyuk is actively being shopped and Campbell figures that the target will be a young defenseman. With Carey Price in need of an extension, and the Montreal brass wanting to avoid “drama” in getting that extension, Galchenyuk would fetch the young d-man that would entice Price to stay and also fill a need for the Canadiens. The Chicago Tribune’s Chris Hine goes through a number of players who have been the subject of trade rumors. On the issue of Marcus Kruger, Hine writes that the veteran center is “all but gone” and that defenseman Trevor van Riemsdyk is all but certain to join him with Vegas being the likely destination. Kruger would be dealt while van Riemsdyk would be selected in the draft. Regarding a core player who could be traded, Hine opines that Niklas Hjalmarsson could be the choice to move. However, Hine points out that Hjalmarsson has a partial no-trade clause and would only accept a trade to 10 teams. Hine writes that a source within the organization indicated that the Hawks have not asked Hjalmarsson to do this. 21.1 Match Penalty – A match penalty involves the suspension of a player for the balance of the game and the offender shall be ordered to the dressing room immediately. A match penalty shall be imposed on any player who deliberately attempts to injure or who deliberately injures an opponent in any manner. In addition to the match penalty, the player shall be automatically suspended from further competition until the Commissioner has ruled on the issue. Technically Sissons is currently suspended for game six of the series, though a ruling is probably going to come down before Sunday’s game. Sissons doesn’t seem to have any intent to injure on the play, as he’s not looking and doesn’t know Maatta’s face has dropped down to stick level. Interestingly enough, another dangerous play had much lower consequences. After a report yesterday that the Boston Bruins were interested in Jonas Brodin from the Minnesota Wild, Michael Russo of the Star Tribune writes today that it’s “doubtful” that the Wild makes a deal before the expansion draft. In one of the more interesting quotes of the spring so far, the Wild’s Senior VP of Hockey Ops Brent Flahr told Russo “you’d just rather lose a player than make a bad trade.” That idea flies in the face of much of the speculation around the draft, that teams will be “forced” to make deals in order to avoid losing a player for nothing. The idea that anything is better than nothing may not be shared in front offices around the league, instead perhaps taking their chances in the draft or more willing to deal with Vegas directly than to send a player to a potential rival. Darren Dreger of TSN took to Twitter to clarify his feelings on Matt Duchene’s trade market this summer, again indicating that he believes the Colorado forward will be traded. It inevitable that Duchene will be suiting up for another club next season, and it will be interesting to see if he can bounce back from a terrible season. Like when we discussed that Jarome Iginla may have some extra juice left at the trade deadline, Duchene was playing in a situation where almost every single player was underperforming and it just spiraled down as the season went on. If he can get back to the 30-goal mark he set in 2015-16, he could be the biggest acquisition of the summer. Though the biggest task for the Minnesota Wild this summer is new deals for Nino Niederreiter and Mikael Granlund, the more pressing decision will be what to do with their glut of defenders prior to the expansion draft. Recently, our own Brian La Rose brought up the problem in his Offseason Keys piece for the Wild, indicating that losing either Jonas Brodin or Mathew Dumba for free in the draft would be a mistake. Enter the Boston Bruins, who today were reported by Joe Haggerty of CSNNE to be in discussions with the Wild over Brodin, an interest that goes all the way back to the trade deadline. While it’s been clear since the season ended that the Bruins needed help on defense, Haggerty notes that it is on the left side in particular that they could use a top-4 player to pair with Charlie McAvoy next season. With news that Sami Vatanen has teams “lining up” for him recently, the Bruins likely won’t be one due to his handedness. Instead, the 23-year old Brodin is a perfect candidate if they can find a package that interests the Wild. On paper, the potential match of Ryan Spooner and a first-round pick suggested by Haggerty makes some sense, acquiring another player who needs protection seems out of the question for the Wild. It’s not only their defensive group who they’ll have trouble protecting, but up front as well since they have three no-movement clauses to deal with. It will be interesting to see how the negotiations shake out, and if the Bruins give up their first-round pick in the process. As we examined recently, the Bruins are open to moving their top pick given that they’ve selected five times in the first round over the past two seasons, and have added a number of talented players—like Brandon Carlo, Jakob Forsbacka Karlsson and Anders Bjork—in the middle rounds as well. This may be the perfect time to dangle the 18th-overall pick in a deal to acquire some defensive help, and try to go after the Stanley Cup once again.